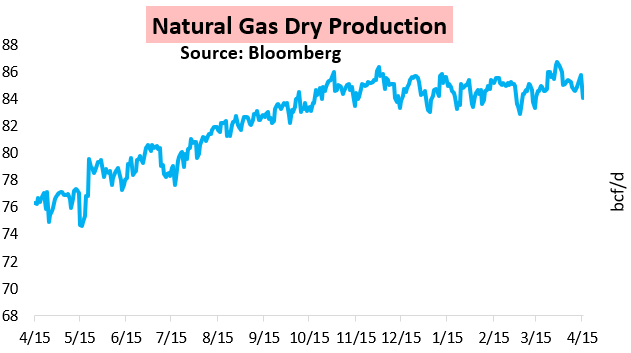 A "perfect storm" of factors led to almost a 2.5% decline in May natural gas prices today. 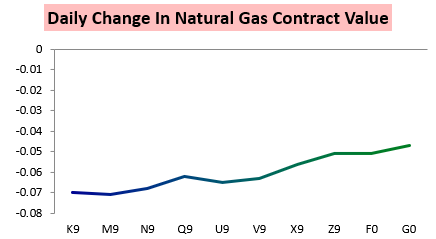 The downward move was strongest at the front of the natural gas curve, but later dated contracts moved notably lower as well. On the supply side, natural gas production trended higher over the weekend, and while not back to record high levels, is quite robust. As if the supply increase wasn't enough, the demand side also shifted much weaker with notably warmer weather forecast changes this weekend. 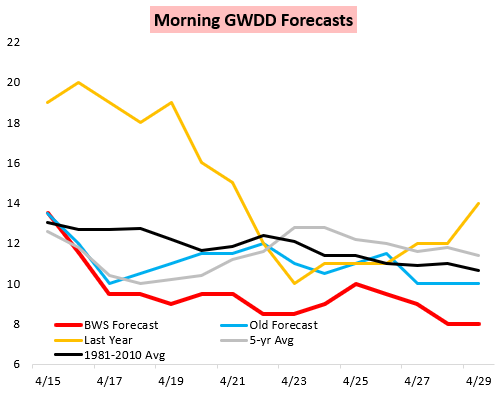 Forecast GWDDs now sit solidly below normal for the second half of the month. The changes from Friday were quite drastic. To put this into map form, we take a look at projections for the current 6-10 and 8-14 day compared to those periods from back on Friday. 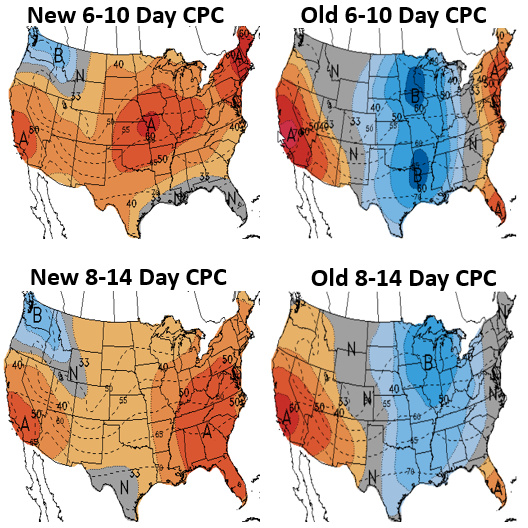 While the exact dates of these forecasts are not perfectly aligned, it definitely still tells quite the visual story regarding the much warmer shift. 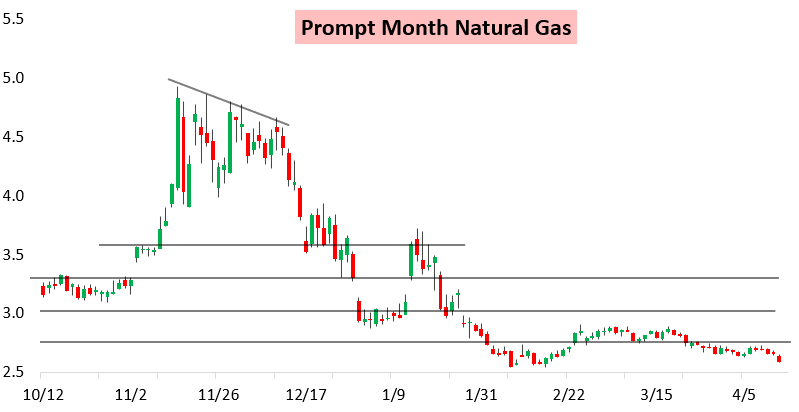 Is there any hope for natural gas bulls in the near future, or will the downward slide continue to roll on? Sign up for a 10-day free trial here and take a closer look at all of our latest research.